Easy 3 ingredient popsicles recipe to cool you down on a hot day( absolutely kids approved!). 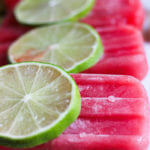 Kids approved , absolutely delicious and crispy fresh- watermelon lime honey popsicles ! Time to throw some popsicle party! i cant even remember how many popsicles did this little mold had to deal with! Crispy sweet flavor and deep dark pink color- your whole family will love it! To get the popsicle out , place the mold under the running warm water for about 15 seconds , it will help to get them out 🙂 Enjoy! 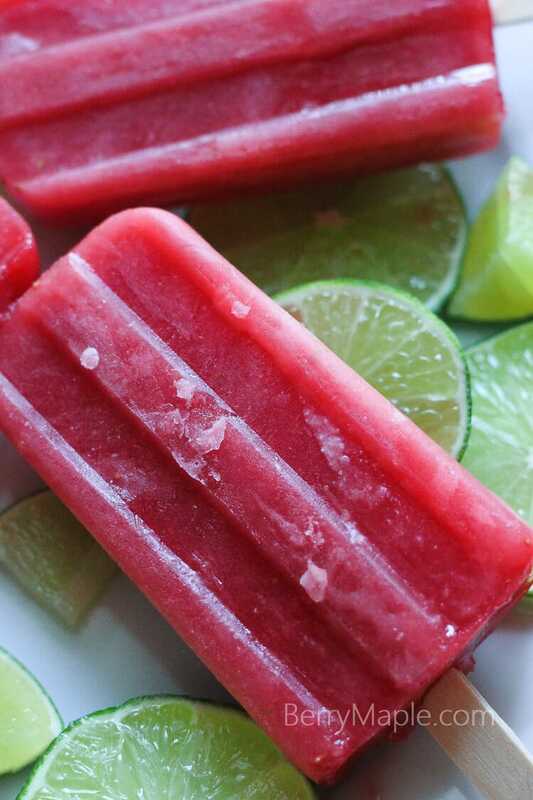 These watermelon popsicles sound so refreshing and delicious! My whole family would love them. I need to blend up a bunch ASAP! I need one of these in my life right now! It’s so hot where I am, these watermelon pops would be so refreshing! What a fantastic summer treat! I’m sure my kids will love these. I love the simplicity of this recipe! It’s a great way to give kids a nutritious treat! 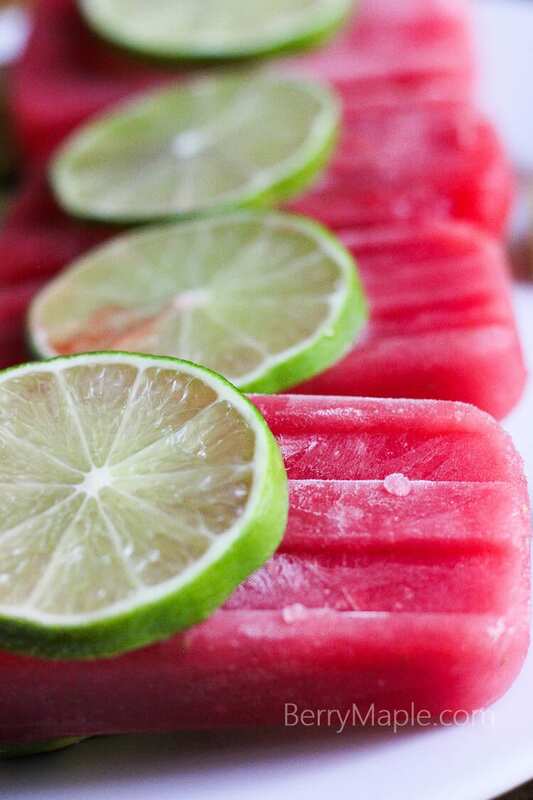 This is getting me excited for summer, watermelon and lime sounds like an awesome combo for popsicles also I love how it’s sweetened with honey! Yes and yes!! This is how we roll! Summer on a stick! 🙂 Can’t wait to make these! What a refreshing flavor combo! We’ll be making this as soon as we get a sunny weekend!! Saving this one for this summer! Looks so refreshing and my kids eat Popsicles almost daily in the summer! It’s already warm here, bring on the popsicles! Such a refreshing, delicious flavor combo and so perfect for the summer! I can’t believe it’s so simple to make. The color of these is beyond beautiful and only 3 ingredients, count me in. My kids like all versions of watermelon..blended into popsicles is brilliant!! I’ve been looking to buy a new popsicle mold, and seeing the one you use seals the deal for me. I love how it looks and it looks sturdier than most! Thanks!